I haven't done a photo tutorial in a while (or posted in a while tbh! 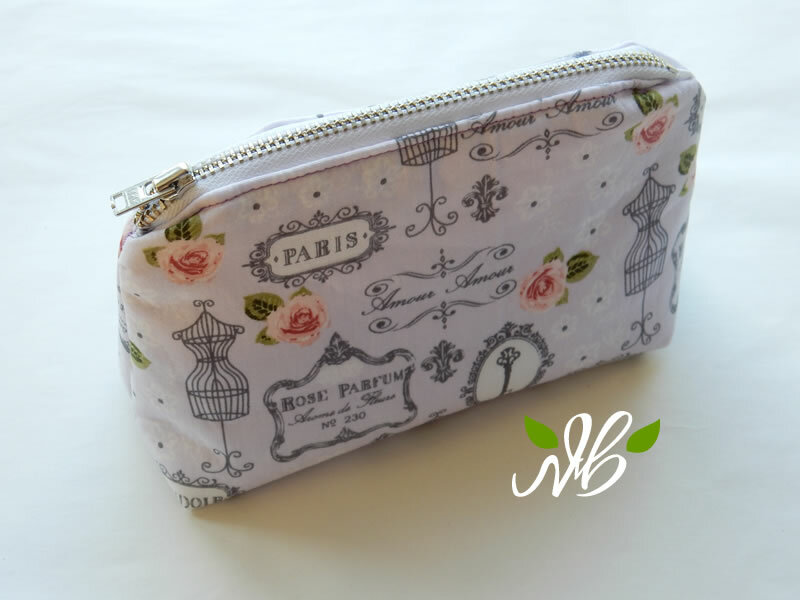 ), but I thought I would share with you my little Parisian Purse sewing pattern, which is so easy to do with just some basic sewing skills. - Fusible fleece; this stuff is available online or usually in your local fabric shop and comes in rolls or small packets. It gives a lovely padded feel to your bag. You can use either the iron on variety where the bobbly side sticks to your fabric when hot, or the sew-in variety. I chose fusible fleece by Pellon. 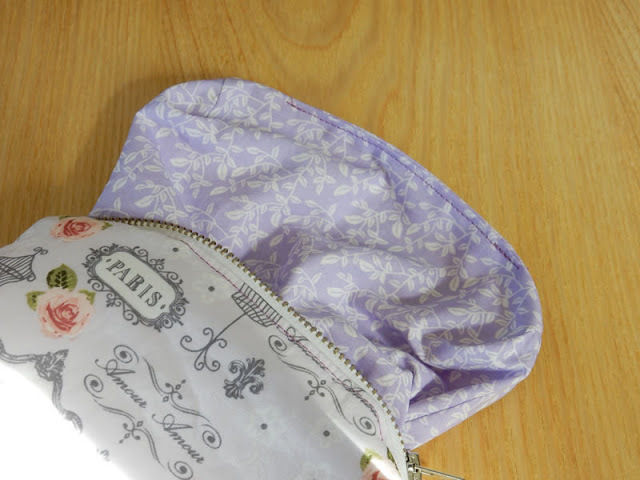 - A sewing machine, but you could feasibly hand sew if you have the patience! Download my free sewing template pattern Parisian Purse from my resources section of my website at; https://www.happyberry.co.uk/resources Make sure to print at 100%, the pattern is to scale. Cut out your fabric. You will need 2 outer fabric pieces, 2 lining fabric pieces and 2 fusible fleece pieces (if using). Make sure that if using a fabric design that has to be 'the right way up' (like I did here) that the top of your design lines up with the shorter edge of your template. The same applies to things like stripes, make sure they're straight! You'll appreciate your hard work now at the end. Heat up your iron for a few minutes on a hot cotton setting, and iron on your fusible fleece to the back of your outer fabric pieces, making sure that the bobbly side is against your fabric and not your iron. Iron the fabric side first, pushing out from the middle and finish with a gentle iron on the fleece side. 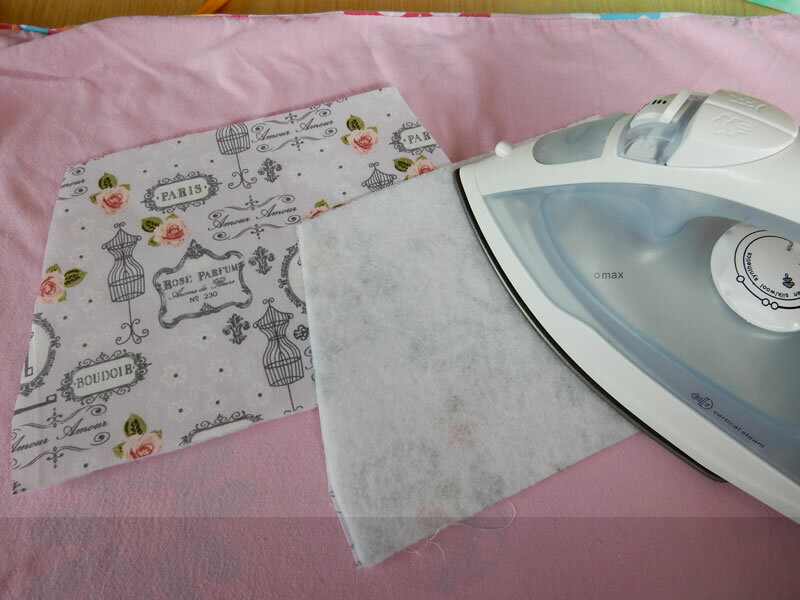 If your fleece is larger than your fabric, cover with old fabric to avoid any fleece sticking to your iron. 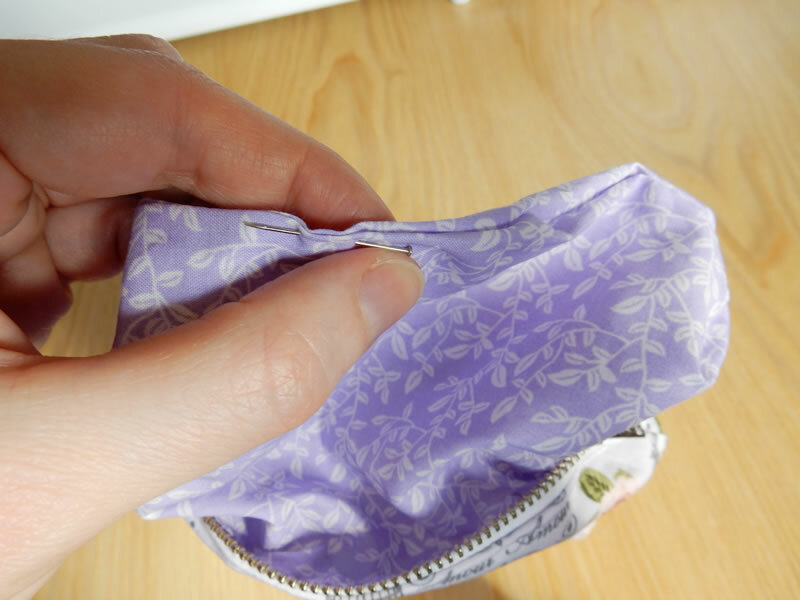 Place your outer fabric face up with the shorter edge at the top, then place your zip face down onto the top of your fabric, making sure that the metal ends of your zip are inside your fabric, but only by your seam allowance. It doesn't matter if your whole zip overhangs your fabric, you can cut it down later. Then place your lining face down on top and pin in place. Sew in place with a normal straight stitch, but don't go too close to your zip. 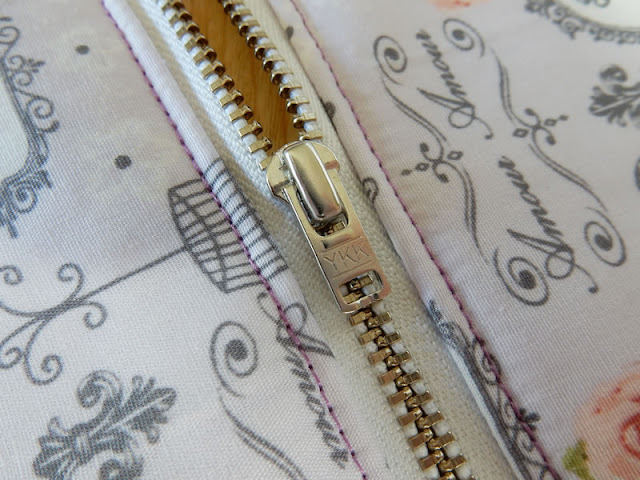 Your sewing foot should just fit nicely between the metal zip and the edge. 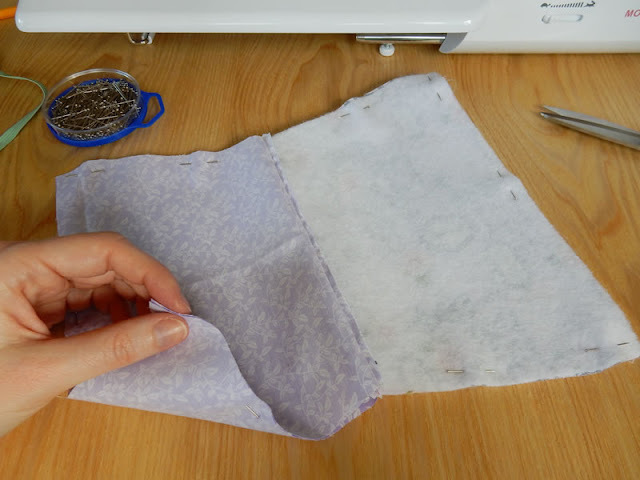 You may have to pause halfway to move your zip out of the way, if so make sure your needle is down in your fabric before removing the foot or pausing. 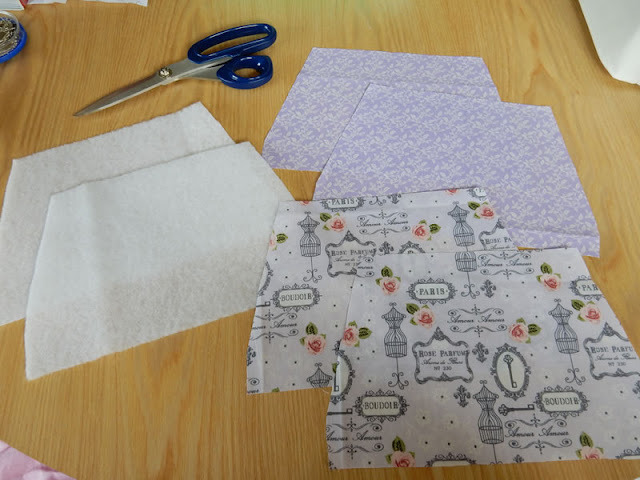 Open out your project and fold in place with the lining fabric face up, flipping/folding your zip up so your fabrics are level with each other. Now place your second outer fabric piece face up on your table. 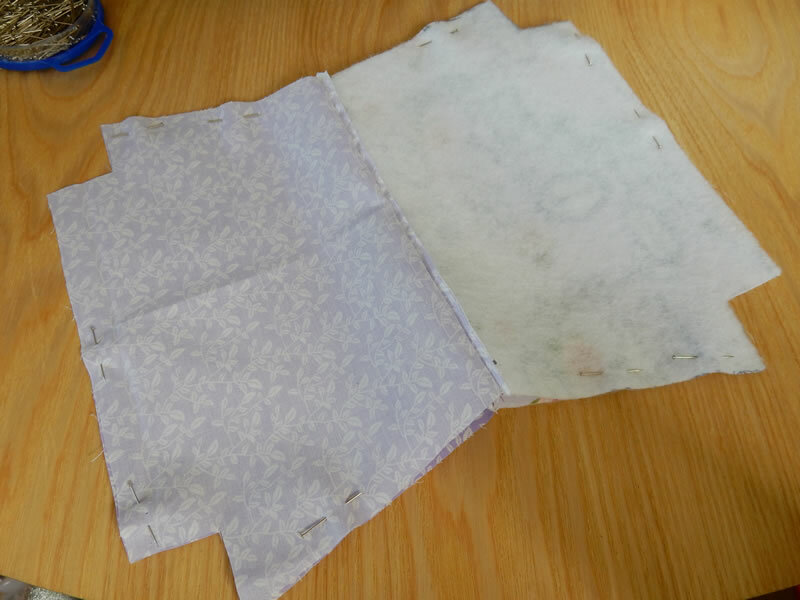 Line up your zip now with the top edge of your new fabric piece (your zip end should be at the opposite end now), then place your second lining fabric piece face down. 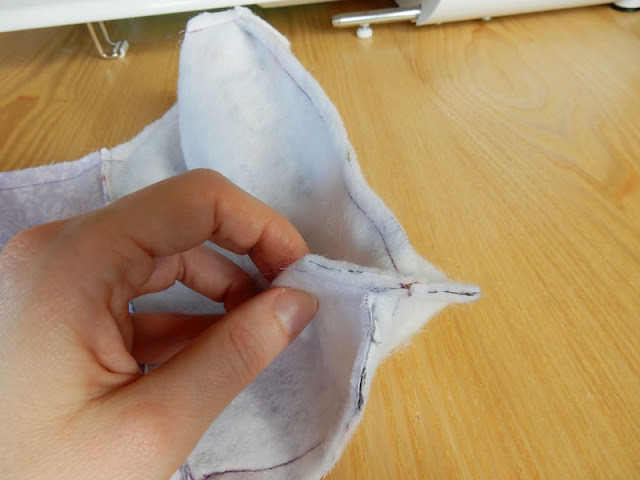 Pin in place and sew with a straight stitch like before. 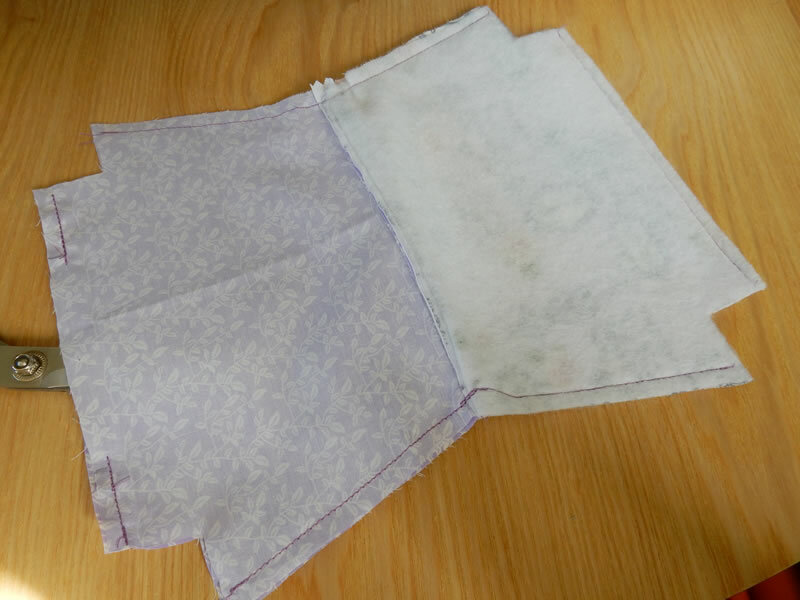 Fold out your project with outer fabrics facing up and your lining fabrics facing down, and flatten your zip. Top stitch along zip edges with a straight stitch on both sides, this will show now so make it neat. Try to sew close to the zip now by about half a cm. I tend to use made-up markers on my sewing machine foot as a guide. 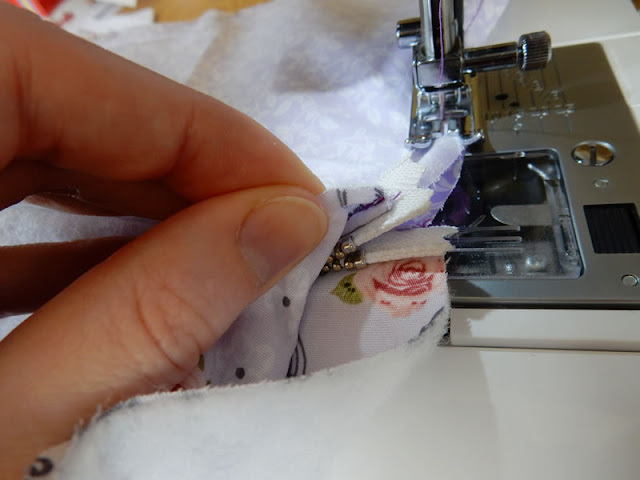 You may need to move the zip head out of the way like before so make sure that you needle is in your project before pausing/removing your machine foot. Now fold out your work again so that the outer fabric pieces are together again, and the lining fabric pieces are together again. Pin in place. Now cut out 3 x 3 cm squares from each corner (as per the template). You may have already cut these, which is fine. 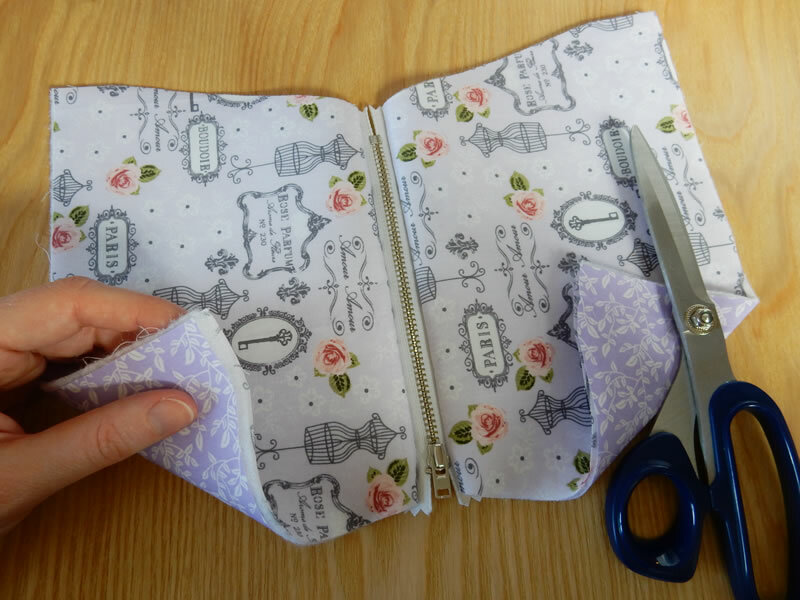 Now, making sure your zip is open half way, sew with a straight stitch along the edges, but do not sew along the right angled corner squares, and leave a hand width gap along the base of the lining fabric so we can turn our work inside out. I chose to mark where I wanted to stop and start sewing around my hand. 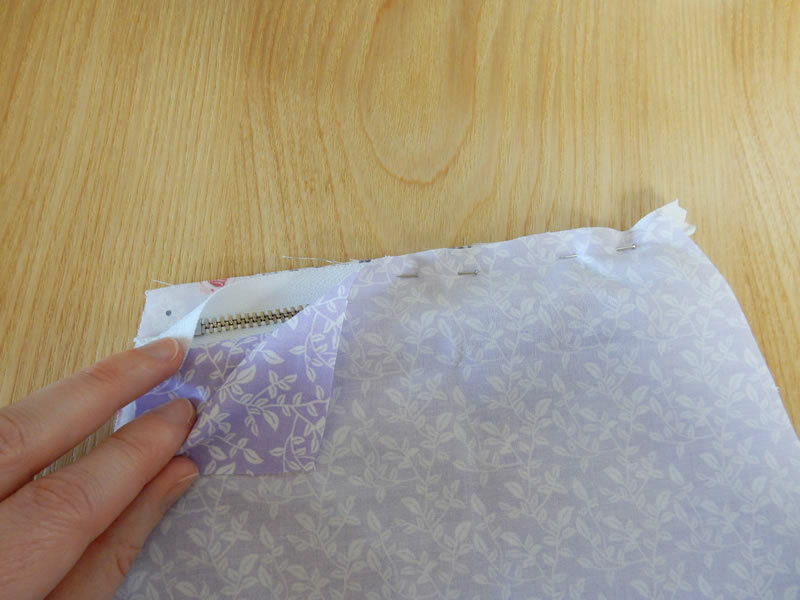 When sewing around your edge make sure your zip faces and folds out to your outer fabric! I also chose to mark where the ends of my zip were so I could sew as close to these as I could, often curving in slightly to reach them. This also creates a nice curved edge to your bag. 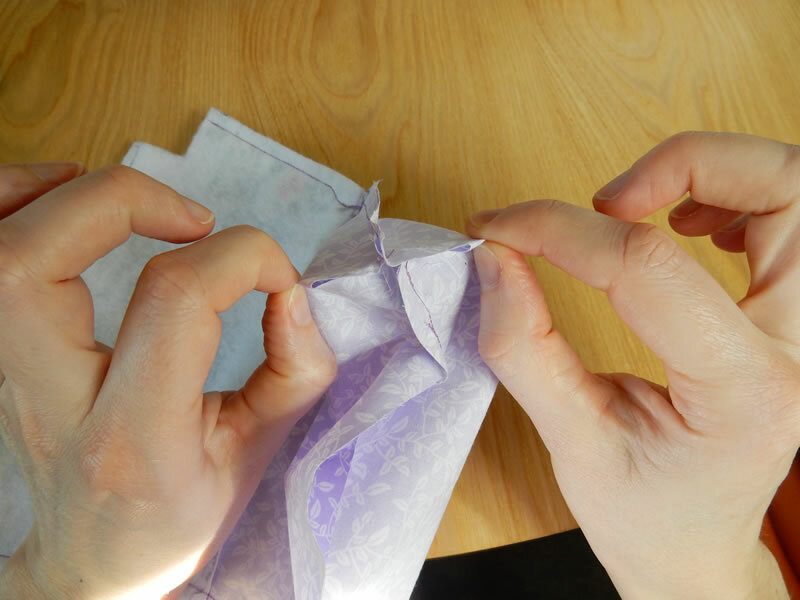 Now take your right angled square corners and pull them apart (like a crisp/chips packet) so that the edges lie straight with each other. Pin in place and sew to secure with a straight stitch. Trim off any excess. Repeat for all 4 corners. 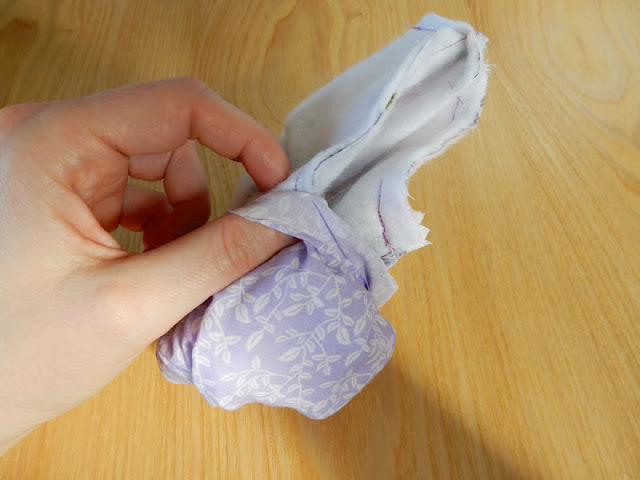 Put your hand inside the gap left on your lining fabric and turn your work inside out, covering your outer fabric so that your lining fabric is face up. 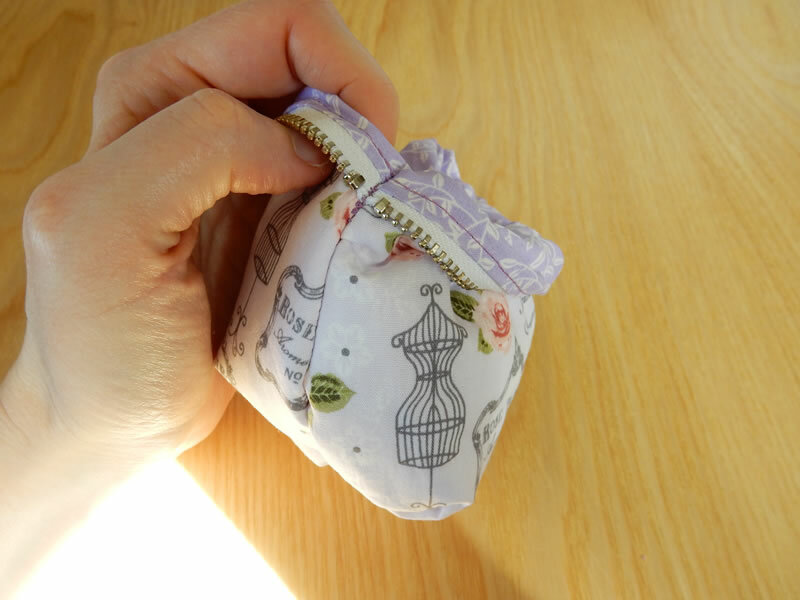 Now turn your bag inside out completely, making sure to gently poke out your corners. Check your happy and then pull out your lining fabric again to find that remaining open gap. 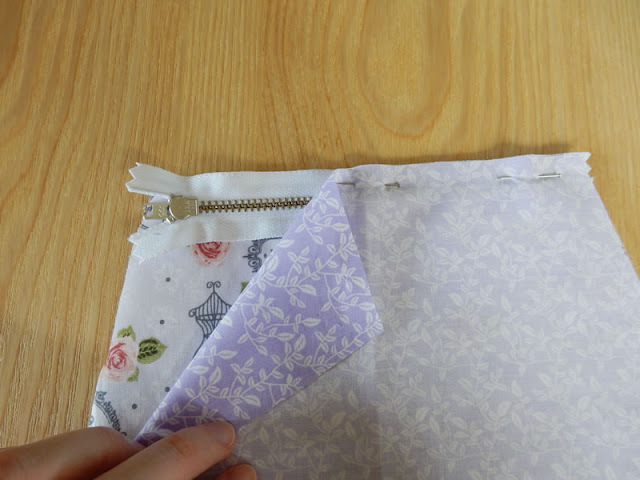 Line up your lining fabric edges and fold edges over and pin in place. Sew as close to the edge as possible with a straight stitch to close this remaining gap. 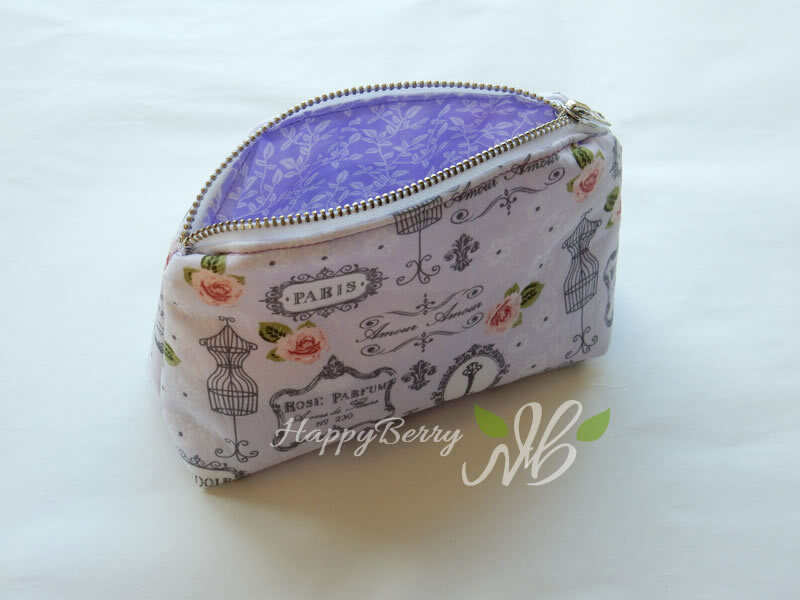 Place your lining bag inside your bag, zip it up and now you're done! 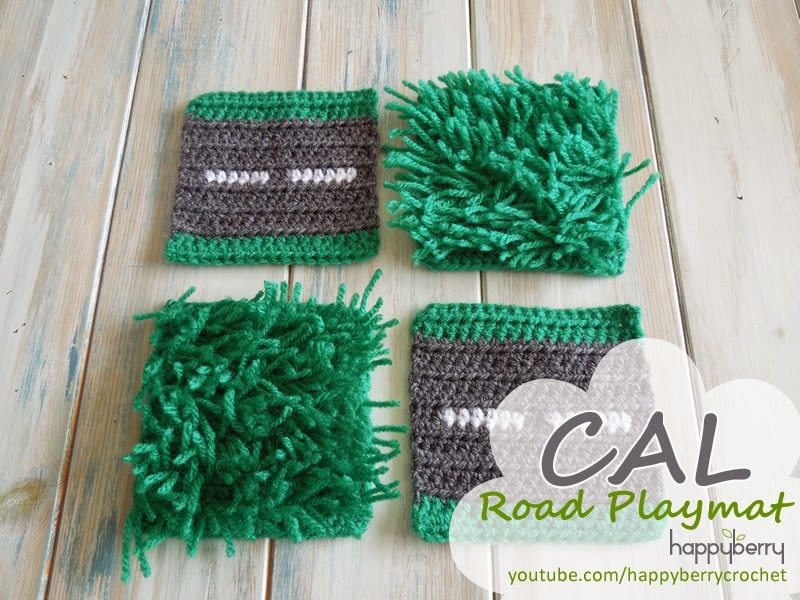 I hope you enjoyed this photo tutorial and managed to follow along. 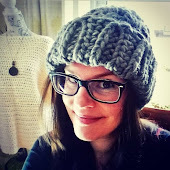 I will see you soon for more crochet and crafting fun!